I was interested in finding out how many players took out the £250,000 in their opening round in season 1, and what they went on to win. There were 49 such players (21% of the total 234) during the show's inaugural season. They're listed in the image below, alongside the date of each individual show's transmission and the amounts they won. As you can see, 42 (86%) of the 49 players who knocked out the quarter-million in round 1 actually went on to win £1,000 or more. Only 7 won amounts in the blue range. The average amount won during season 1 by these players was £13,383, which is only £2,617.68 below the season's overall average win, £16,000.68. Before I looked into this, I had been under the impression that if you eliminated the highest figure in the opening round, you'd automatically be at a disadvantage in terms of your eventual progress, and that the stats would bear this out. My hypothesis was blown out of the water, as it happened, and it seems that a bit of early bad luck doesn't actually hurt your chances very much at all. It's definitely better to hit the £250,000 in Round 1 than Rounds 3 or 4 (or especially 5 or 6 if you're still in live play) as it's a definite momentum-breaker whenever you hit it and the Banker would likely respond with a punishing offer even if the board is still fairly strong. Of course in Round 1 this hardly hurts you as no one ever takes the opening offer, but hit it in Round 4 and the Banker could easily make a forcing offer (especially with his erratic behavior back then) at a stage where many players would consider dealing if the offer was good for the board. In fact, here's a follow-up assignment: check the average winnings of people from the 1st series who found the £250,000 in Round 4. I bet it's probably in four figures! During season 1, a total of 22 players (9.4%) hit the £250,000 in round 4. Of those, only 4 won blue amounts; 18 salvaged red wins. The average amount won by those 22 players was £11,521.41. In season 2, 43 players found the biggie in the fourth round. 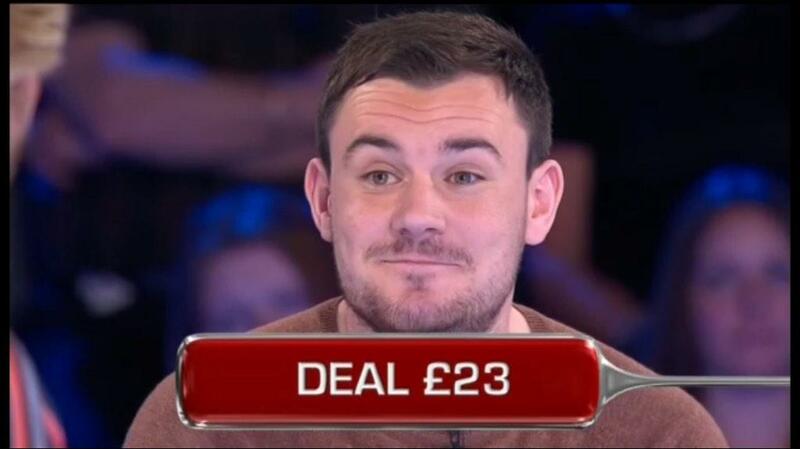 They were split into 15 blue winners (35%) and 28 red winners (65%), and on average, they won £12,256.81. Then came my real challenge, which began at 3pm today and ended just before 11pm (with a few hours in between doing anything other than glaring at a sodding spreadsheet...) - from season 3 until the show's conclusion. There, I found 313 contestants unlucky enough to knock out the quarter-mill at your stated stage in the game. And, do you know what? Again, most of them didn't do too badly! There were only 76 blue winners (24%) to the 237 who won red amounts (76%). On average, their earning was £11,460.55. 378 players found the £250,000 in round 4. Of those, 95 (25%) ended up winning less than £1,000. This means that 283 (75%) won more than £1,000. The average winning for players finding the £250,000 in round 4 was £11,552.25. Good thing I didn't place any money on that bet, then.